Tell You A Real China in Our Eyes! This is recap of The Legend of White Snake Chinese Drama Episode 2, Bai Suzhen stares at Xu Xian and thinks he isn’t evil. Xu Xian tries many ways but cannot cure Ms. Yu. Chang Sheng thinks Bai Suzhen can save his mother. But Xu Xian tells Chang Sheng that Bai Suzhen doesn’t dare to come. She shows up and startles Xu Xian. 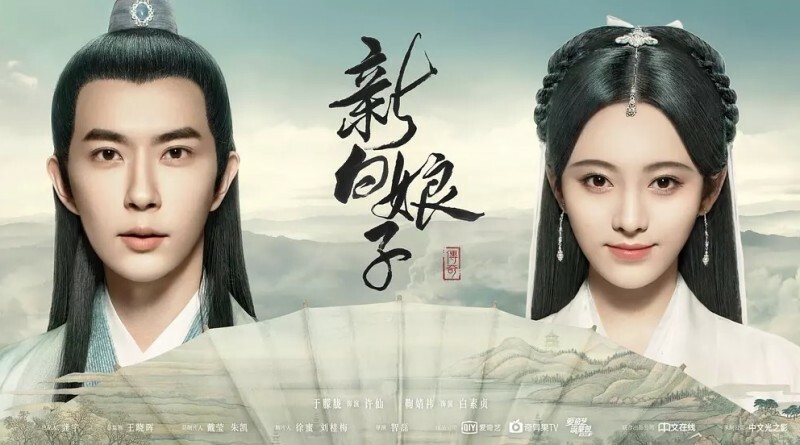 Note: From here on out there are specific plot spoilers for The Legend of White Snake Chinese Drama Episode 2. Bu Suzhen wants to kill Xiao Qing because she poisoned a lady. But Xiao Qing says that it’s an accident. The lady visited the temple and asked the bodhisattva to protect her son. She bit the apple Xiao Qing just ate. Xiao Qing says that the woman stole the offerings and ates the apple she left, and get poisoned. But Bai Suzhen beat her up. Xiao Qing feels wronged. Bai Suzhen feels sorry and asks Xiao Qing to give her the snake bile to cure Ms. Yu. Xiao Qing gives the herb to Bai Suzhen, and thinks she is stupid. Fa Hai arrives at the porridge shop, the shop owner places porridge on his bowl. But Fa Hai says that he doesn’t ask for food, and asks if he heard any strange thing. The shop owner tells Fa Hai that some children are missing in Lingan and guesses it’s monster eating children. Fa Hai thinks the monster is still in Lingan. Bai Suzhen smells the bloody smell, and thinks it’s similar to the beast power she met. She opens the bottle Xiao Qing gave her, and thinks she is evil because she added beast blood in the herb. She cleans it. But Fa Hai shows up and wants to get rid of Bai Suzhen. She tells him that he mistakes her, and catches the chance to flee. She turns into white snake and gets in Xu Xian’s room. Jin Ruyi and the maid walk in Xu Xian’s room. But the maid thinks it’s not polite. Jin Ruyi claims the house belongs to her, so does the room. She offers to be scruffy in the bed, and makes her father agree her marriage. The maid warns Jin Ruyi that sleeping with someone else without marriage contract will damage her reputation, but Jin Ruyi gets her maid out. She lies in the bed and takes off her clothes. Fa Hai walks in and takes off the cover. Jin Ruyi spots Fa Hai and screams. Mr. Jin asks Xu Xian to catch the white snake. Xu Xian makes dizzy white snake with realgar, and locks her up in the basket. Mr. Jin scolds the maid Yin Xiang and thinks she only knows to enjoy a happy life. But she tells him that Jin Ruyi got taken off the cover. Mr. Jin is shocked and thinks his daughter’s body gets spotted by the rogue. Xu Xian explains that Jin Ruyi is very smart, and the rogue didn’t see her body. Mr. Jin smirks but questions Jin Ruyi why she stays in Xu Xian’s room. 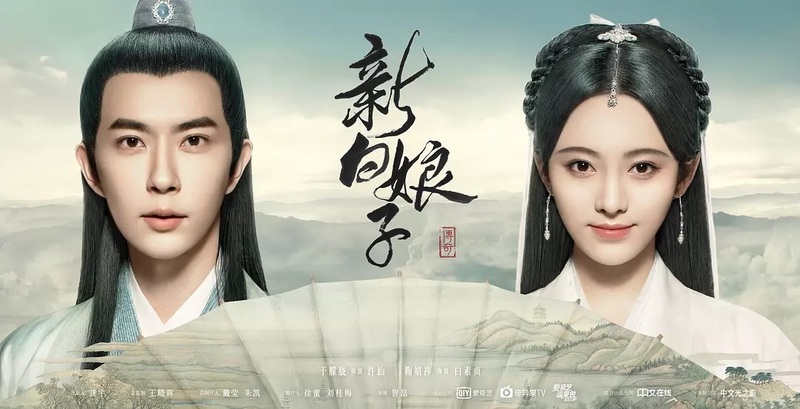 He warns Xu Xian not to think of a plan on Jin Ruyi, and reveals he wants to marry her off to big family. Xu Xian says that Jin Ruyi is like moon, and he only dares to look up on her. Mr. Jin brags that Jin Ruyi is worth of marrying to princes. He tells Xu Xian to kill the snake, and makes medicine with the snake gall. Xu Xian releases white snake, and thinks he can use other medicines to replace it if he needs snake gall. He tells her not to get into human’s room when she needs to get warm. Bai Suzhen stares at Xu Xian and thinks he isn’t evil. Xu Xian tries many ways but cannot cure Ms. Yu. Chang Sheng thinks Bai Suzhen can save his mother. But Xu Xian tells Chang Sheng that Bai Suzhen doesn’t dare to come. She shows up and startles Xu Xian. He wonders how she came in and thinks Chang Sheng forgot to lock door. She gives the medicine to Chang Sheng. But Xu Xian asks her about the medicine. She says that she doesn’t want to tell him. Ms. Yu wakes up and thanks Xu Xian for saving her. But Chang Sheng tells his mother that Bai Suzhen saved her. Ms. Yu offers to treat them the meal. Xu Xian and Bai Suzhen goes to prepare foods. Bai Suzhen is surprised that Xu Xian can cook food, and mentions gentleman stays away from kitchen. He thinks the person stays away from kitchen isn’t gentleman but lazy person. He asks her to increase the fire for him. She asks him why he released the white snake, and he thinks she tracked her. She gets angry and claims she just looked at him remotely. She waves the fan, and the fire burns out. He protects her and asks if she got burnt. She asks him if he always protect others, and mentions he released the snake. He says that the snake would feel pain even if she is just a little snake. Bai Suzhen thinks Xu Xian just likes to trick people. But he points out that he used best medicine on people, and reveals the woman who sells tofu saying that she is beauty at the street. She asks him to explain that he got fake doctor to challenge him. He says that he has to do it because he needs expensive medicine to treat Ms. Yu. She realizes he was to save people, and thinks she misunderstands him. He asks her about the medicine she cured Ms. Yu, but she says that she used it up. Chang Sheng wonders why Bai Suzhen eats with hand. She explains that the monk in India told her to hold food with hand when she was given food. Xu Xian asks Bai Suzhen if she has eaten with the habit from India to Lingan. But she says that it’s her first time to eat cooked food, and explains that she has eaten dry food. She stops to eat, and Chang Sheng thinks she doesn’t like the foods Xu Xian cooked. He mentions the Shangyuan Lantern Festival, and thinks she will eat the dishes of her hometown. Bai Suzhen is interested in it. Xu Xian walks Bai Suzhen and says that he will keep his promise. But she thinks she doesn’t win him because Xu Jian maintained Ms. Yu’s life with expensive medicine. He asks her if she wanted to convince him to correct his mistake when she dressed up to be a man. She says that she wanted him not to trick people if she won. He promises her and shy when she says that he is a nice guy. He asks her what medicine she used on Ms. Yu. She says that Ms. Yu was bitten a kind of poisonous insect, so she used poison to clean it. Xiao Qing takes wine pot and drinks in the bar. She wonders why her mother doesn’t pick her up, and asks for wine. The waiter suggests her to try their full snake meal, but Xiao Qing grabs his collar and wants to eat full human meal. He screams monster, and passes out when Xiao Qing transforms into green snake. Fa Hai stops Xiao Qing and wants to do the justice for heaven. He makes Xiao Qing collapse with the gold bowl. Bai Suzhen saves Xiao Qing and runs away. Fa Hai thinks Bai Suzhen is the legend monster that his master mentioned. Jin Ruyi invites Xu Xian to attend the Lantern Festival. But he tells her to let Yin Xiang accompany her. Because all of lantern riddles he can dope out, but nobody can dope out his lantern riddle. She threatens to tells her father that he earns money secretly, and mentions the silk shop gets some new clothes. Xu Xian promises to buy her the clothes. Bai Suzhen asks Xiao Qing why she follows her. Xiao Qing says that she wants to protect Bai Suzhen. But Bai Suzhen tells her to protect her first. Xiao Qing explains that she was drunk so that she didn’t show her real power, and mentions her followers, the four river monsters. But Bai Suzhen mocks at Xiao Qing that her talent is to add poison into antidote. Xiao Qing thinks Bai Suzhen fell for her. Because she saved her even if she knew that she added poison into antidote. Bai Suzhen tells Xiao Qing not to misunderstand it, and reveals she wants to attend Lantern Festival. Jin Ruyi spots Bai Suzhen choosing red and green clothes in the clothing shop, and thinks she is old fashioned. Bai Suzhen spots herself from the mirror, and asks where the monster comes from. Jin Ruyi passes by and thinks Bai Suzhen treats her as monster. Bai Suzhen thinks Jin Ruyi isn’t monster because she doesn’t have spirit power. Xiao Qing shows up and thinks Bai Suzhen is prettier than Jin Ruyi, so Jin Ruyi gets angry and leaves. Bai Suzhen wants to apologize to Jin Ruyi, but the shop owner keeps her as she doesn’t pay for the clothes. Xiao Qing pays it for Bai Suzhen and thinks she will thank her. But Bai Suzhen left. The female monster asks the kid Qian Er if she saw the pearl. Qian Er denies, and is taken away by her mother. The lantern shop owner asks Bai Suzhen if she wants to give riddle or guesses riddle, and reveals the person can take away her lantern if he dopes out her riddle. Jin Ruyi runs into Xu Xian and buys him mask. She asks him not to lose it. Bai Suzhen writes down riddle on the lantern, and gives it to shop owner. But he asks her to pay it. Xiao Qing pays it for Bai Suzhen. Bai Suzhen asks Xiao Qing if it needs silver all the time in mortal world. Xiao Qing says yes, but it depends on her mood if she uses it or not. She steals the mask, but Bai Suzhen scolds Xiao Qing. Xiao Qing gives out the silver, and says that she is in the mood of willing to spend money. Xu Xian spots the riddle, and realizes it means snake. The shop owner gives the lantern to Xu Xian, and tells him the girl just left. Xiao Qing notices the lantern disappears. The shop owner tells Bai Suzhen that Xu Xian doped out the riddle, and left his riddle to her. Xiao Qing walks Bai Suzhen and asks her where she gets so many knowledge. Bai Suzhen says that she read books for 100 years. Chang Sheng visits the hat shop and asks for the hat. Ms. Yu buys him the hat, and the female monster gives the sachet to Chang Sheng.